October 2009 – I Grok2! It’s much easier to just borrow other peoples’ audiences when you need them. Try emailing prominent bloggers discount codes for your software — you then can borrow their audience if they are willing to publish your discount codes just like the linked articles says (for getting “beta” users). Does the company matching contribution to my 401(k) count against my 401(k) limit (16,500 in 2009)? No. Your company’s contribution doesn’t count towards your personal 401(k) limit. What is the tax-treatment for my company matching contributions to the 401(k) plan? Your company matching contribution is tax-deferred. 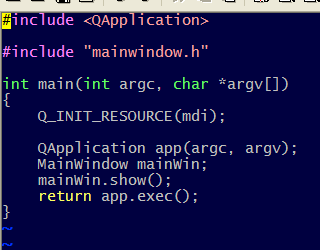 After playing around a bit with various fonts and color schemes due to increasing eye-strain, today, I finally settled on using “Lucida Console” with “ClearType” font smoothing for C/C++ programming (under Windows with Emacs and Vim) and realized something — when the code looks beautiful (as it does with this font combination), I feel like writing beautiful code :-). I now use Lucida Console Regular, font size 11 with ClearType font smoothing under Windows. Use this simple method to choose fonts, font styles and font colors under Emacs for Windows: Click the first mouse button with the Shift key pressed. Doing so brings up the Windows font chooser dialog. The dialog only brings up fixed-width fonts — perfect for programming. Choose and set the font settings you want. The change only affects the current session. Here is how to look for all occurrences of a domain name on the social bookmarking site delicious — search for “domain:grok2.com” (replace the domain name with the domain you are looking for) using the search entry field. An interesting feature of this is that you can see some trend statistics and the various tags used when bookmarking pages on the domain. Seems like Bing is losing steam … “Searchers used Bing less in September than in previous months, ending three consecutive months of growth” — from InformationWeek.